Business demands on data center computing, storage, connectivity and communications are ever-increasing. To meet these demands, legacy systems must be replaced and new technologies must be integrated. This must be done within small budgets and with no sacrifice of performance. 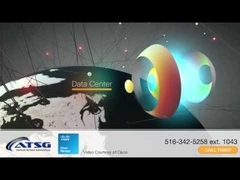 ATSG has the skills and experience to meet all of your Data Center needs. Legacy technologies don't use servers, storage and desktops efficiently. Virtualization solutions can dramatically improve hardware utilization and decrease the number of servers needed to deliver required services. This significantly decreases power consumption, cooling, floor space and cost. In many IT environments, it is not necessary to have a computer on every desktop. Rather, a thin client virtual desktop connected to a central server can deliver all the necessary computing services. Thin computers deliver many benefits, including less cost, power consumption and management. Maximizing utilization of storage in a scalable and changing environment is a challenge that requires careful integration of hardware, software and networking. Proper technology and architecture are required to meet these challenges. New and emerging technologies require networks to have greater bandwidth. 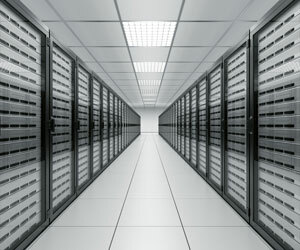 These technologies include virtualization of servers and computer desktops, cloud computing, blade servers, storage replication, and large databases. Whether refreshing old networks or building new ones, ATSG will help you future-proof your data center -- so you can meet the increasing demands of your business. Today's IT must deliver always-on application and data availability at reduced costs -- while providing disaster recovery and business continuity. Data Center Interconnect (DCI) solutions extend LAN and SAN connectivity across geographically dispersed active data centers. They help organizations provide high-performance, nonstop access to business-critical applications and information. Colocation services help safeguard mission-critical data with the highest levels of security, privacy and operational reliability. Server, storage, and networking equipment can be connected to a variety of telecommunications and network services with a minimum of cost and complexity.